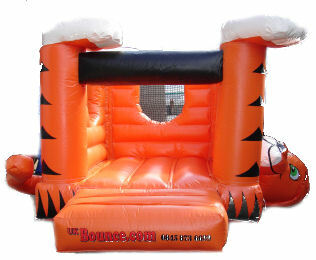 Watch Tigers head and tail lift with glee as your children bounce on the tum of one of our most colourful and fun childrens castles. With robust design and built in shower cover, this castle is great for every party. Designed to be slimer than other castles, Tom and Jerry can fit into gardens that other castles sometimes cannot. 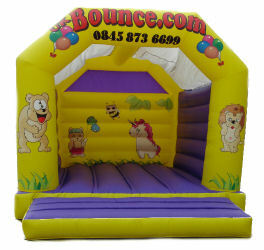 New and original design Bunny Bounce has the added security on one central entrance. 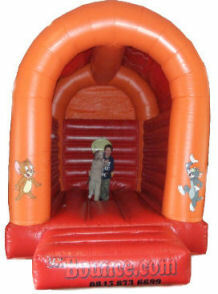 A traditional style bouncy castle with Jungle theme, and a built in shower cover. Great for both boys and girls! With built in shower cover, Scooby is a great all rounder. The more bouncing you do the more Scooby nods with joy. In vibrant pink this is every little princesses dream! A great castle for little boys. This fresh imaginative design will put a smile on every boys face! 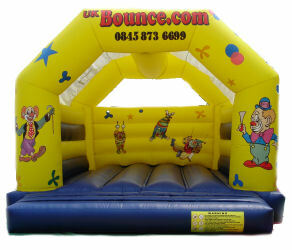 This is our most popular bouncy castle for girls. With its fun theme and impressive size a great way to impress people at a party. 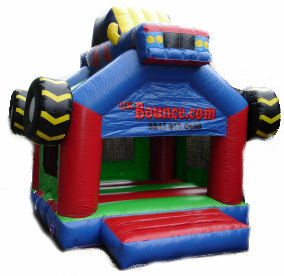 A great enclosed castle great for all kids! 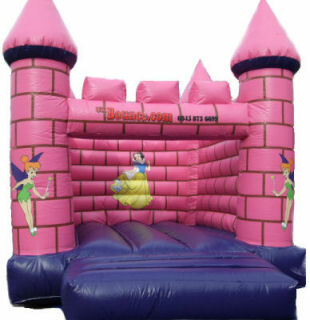 A great sized bright and fun castle with a built in shower cover suitable for the whole family. A massive castle designed to be used by the whole family! Great for every Summer Party!